The Jury decided not to award the 1st Prizes of the 5th International Chamber Music Competition “Cidade de Alcobaça” (CIMCA) in both categories, after the Final of the two categories that happened during all day yesterday at Cine-Teatro de Alcobaça – João d’Oliva Monteiro. As for the 2nd Prize of the Senior Category, it was awarded ex-aequo to the Portuguese percussion trio Merak Trio and the pianists duo Piano Duo from Japan. Also the 2nd Prize of the Junior Category was delivered to another Portuguese percussion trio, RePercussion, followed by ReQuintet group (Portugal) with the 3rd Prize. Also Tejo Quartet (Portugal) and Trio Ramales (Spain and Portugal) received on the Senior category an Honorable Mention in each of the cases. As for the Best Interpretation of a Portuguese Author’s Works, a novelty in this year’s edition of CIMCA, it was attributed to Piano Duo, for “Paris 1937” by Fernando Lopes-Graça, in the Senior Category, and Repercussion Trio , for “Zoom in – Zoom Out” by Luís Tinoco, in the Junior category. 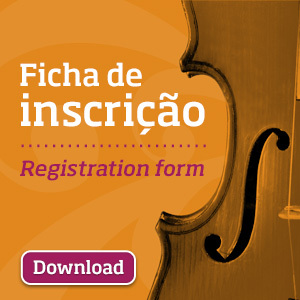 The awarded ensembles Merak Trio and Piano Duo, Senior category, and Repercussion Trio, Junior category, will perform today, as scheduled, at the Winners Concert and Awards Ceremony that will be held at 9:00 pm, as always, at Cine-Teatro de Alcobaça – João d’Oliva Monteiro, with free entrance.